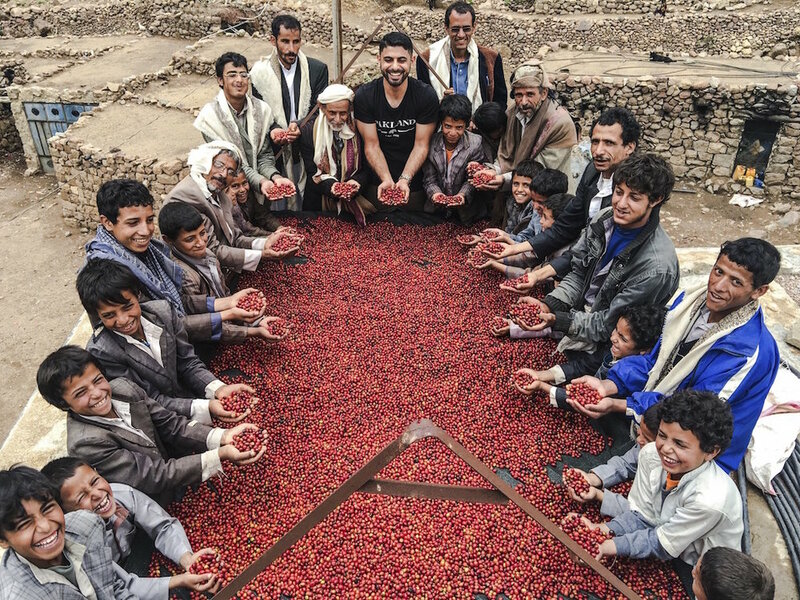 Just a few years ago, Mokhtar Alkhanshali risked his life to reconnect coffee drinkers to Yemen—the world’s first coffee source. Today, Port of Mokha gives farming communities in remote villages a reason to hope in the throes of war, and Mokhtar's story is being told by one of America's most acclaimed writers. In The Monk of Mokha, Dave Eggers weaves Mokhtar’s incredible tale into the larger (and equally miraculous) journey of coffee from its beginnings as a wild tree to one of the global crop it's become. Next month, we'll be celebrating the release of this eagerly anticipated book and the coffee it chronicles on both coasts. Join us! In the meantime, you can preview our Port of Mokha Collection here. Dave Eggers and Mokhtar Alkhanshali in conversation, followed by coffee service featuring exclusive samples of Lot #42.